The EUROCOM P5 Pro (15.6”) and P7 (17.3”) Pro Mobile Workstations support socket based desktop Intel Xeon processors, MXM 3.0b NVIDIA Quadro graphics and are built to offer professional, on the go deployment. The EUROCOM P5 and P7 Pro have Intel Xeon E3 desktop processor Series support from an Intel Z97 Express Chipset and LGA 1150 socket. Memory is fully upgradeable and configurable with four SODIMM sockets able to support up to 32 GB of memory. Users can have a reliable internet connection on the go with the P5 Pro as it is prewired for 3G/4G/LTE module support, through an M.2 slot. With the performance and capability of the P5 Pro combined with its svelte 3.4 kg weight and 1.4 inches thick chassis make the P5 Pro an unprecedented mobile workstation for worldwide, won the go deployment. 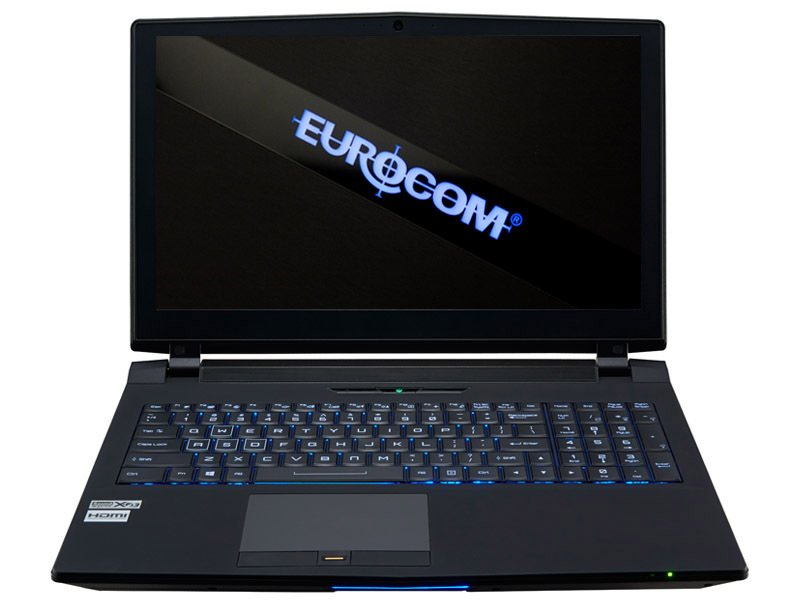 The EUROCOM P5 Pro supports a full line of professional grade, MXM 3.0b NVIDIA Quadro K5100M, K3100M and K1100M graphics, allowing professionals to get the mobile graphics processing power they need. The EUROCOM P5 Pro and P7 Pro are fully upgradeable at time of purchase, the customer can pick the exact components they want to suit their needs. They are also easy to upgrade because they can be opened to access all of the components to improve the performance well after you bought it. Professionals can take all their files and application with them on the go as storage options come from four drive bays, two M.2. SSD slots and 2 standard drive bays for up to 5.2 TB of RAIDable storage. PCIe Solid State drives are supported for enhanced storage performance. RAID 0,1,5 and 10 are offered for maximum performance or redundancy. The EUROCOM P5 Pro and P7 Pro are both equipped with a Trusted Platform Module 2.0 (TPM), fingerprint reader and a Kensington lock port to keep crucial data and intellectual property secure.